BlogHome | MTM Certification, which is truly authentic? MTM Certification, which is truly authentic? As the pharmacy field becomes more competitive, many pharmacists look towards specialization to stand out from the crowd. Since the demand for MTM pharmacists has risen dramatically in the past 10 years, many pharmacists are searching for ways to get away from the traditional community pharmacy roles and into pharmaceutical care. Some of the top three “certifications” that pharmacists tend to look at are from APhA, Powerpak C.E., National Board of Medication Therapy Management (NBMTM). There are a few pharmacists that claim that their training in MTM from APhA is considered a certification. However, according to the APhA website, it states that the training “…does not provide a certification in this topic but rather advanced professional training”. APhA’s MTM training does offer a certificate of completion at the end of training, but that does not mean you are considered a certified MTM pharmacist. According to US Legal, professional certification must be valid for a certain period of time and must be renewable. The APhA training is not renewable and it’s a once during a set period in time. The Power-Pak training is also another entity that many pharmacists incorrectly consider as a “certification”. Looking at the Power-Pak website, it does not call their training, MTM certification, but rather “MTM Certificate program”. Not only does the Power-Pak training not fit the definition of professional certification, it does not have the established credibility like the National Board of Medication Therapy Management (NBMTM) and AphA, non-profit organizations with no financial incentives. Power-Pak is a product created by Postgraduate Healthcare Education, LLC, a for-profit corporation ran by Susanne Batesko RN. 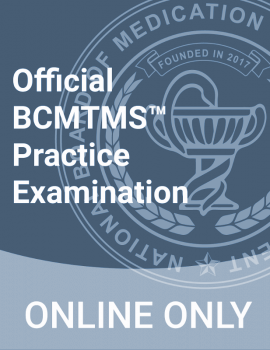 A true and authenticate MTM certification would be from the National Board of Medication Therapy Management (NBMTM), which gives the designation, “BCMTMS” (Jane Doe, PharmD BCMTMS). “BCMTMS” stands for Board Certified Medication Therapy Management Specialist. 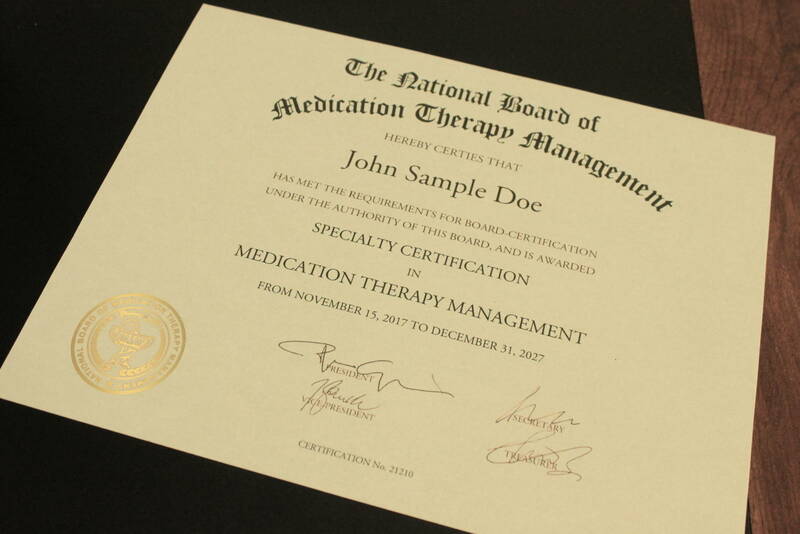 Obtaining board certification through the National Board of Medication Therapy Management (NBMTM), fits the US Legal’s definition of professional certification. Not only are you required to pass a rigorous examination, you will have to maintain a certain amount of CEUs and renew the certification every so often. Becoming an MTM pharmacists takes a tremendous amount of time and patience and all three programs do help train you in MTM. However, with the increasing saturation of pharmacist and the increasing competitiveness of the market, it is advised to choose your training wisely and choose the training that will maximize your value. A certification is often confused with a certificate, which is often promoted as certification. A major key difference is that unlike a certificate program after candidates pass the NBMTM board certification exam, they will be awarded a professional designation that will be recognized and used to highlight their certified status. According to the Institute for Credentialing Excellence (ICE), certificate programs and certification programs are designed to meet different needs. Although the terms sound similar, they are not interchangeable. “Delivering Medication Therapy Management Services.” American Pharmacists Association, 23 July 2014, http://www.pharmacist.com/education/advanced-training-programs/delivering-medication-therapy-management-services. Legal, Inc. US. “USLegal.” Professional Certification Law and Legal Definition | USLegal, Inc., https://definitions.uslegal.com/p/professional-certification/. 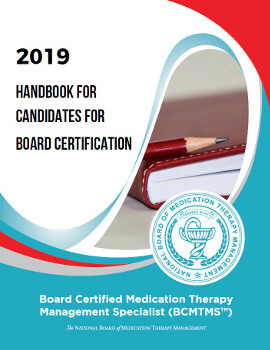 “Requirements for Board Certification.” National Board of Medication Therapy Management, http://www.nbmtm.org/become-certified/requirements-for-board-certification/. “Certificate vs. Certification: What’s the Difference?.” Institute for Credentialing Excellence, http://www.credentialingexcellence.org/programdifferences.